California State Parks is reminding the public that Julia Pfeiffer Burns State Park remains closed due to extensive damage caused by recent storms. The popular park has been closed since early February when heavy rains and high winds pummeled the Big Sur area. The restroom facilities and visitor welcome station at the park were severely damaged and need to be repaired. 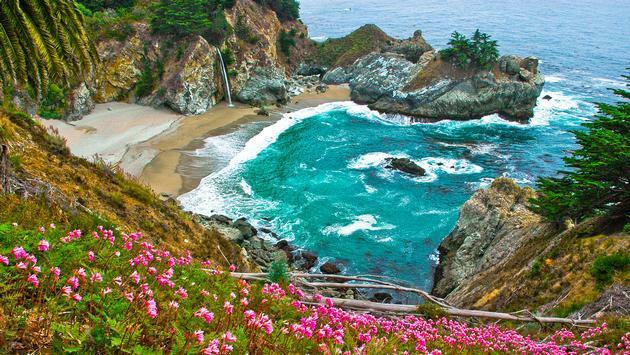 The closure means there is no access to the Waterfall Overlook Trail which leads to the iconic McWay Falls. Parks staff from the Monterey District are working diligently to identify funding sources and implement a plan to reopen the park as soon as possible. The park’s restrooms are one of a limited number of public restrooms in the Big Sur area and State Parks is seeking short-term solutions to alleviate this concern. A longer-term plan is being worked out to make the needed repairs to the parks’ damaged buildings and trails. State Parks hopes to reopen the park in a limited capacity later this spring. SOURCE: California State Parks press release.